Foxtrotters Dance Club | Ballroom Dancing At Its Best! Ballroom Dancing At Its Best! The Foxtrotters Dance Group has scheduled a special guest appearance by a Georgia celebrity! 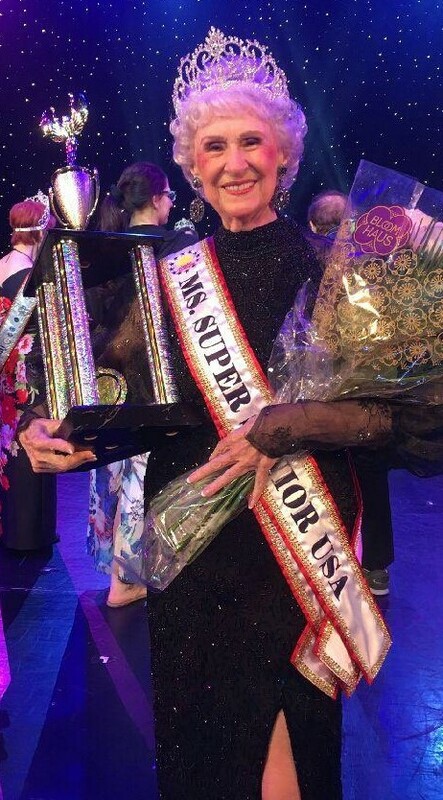 Nancy Long is the reigning Ms. Super Senior USA, a title reserved for lovely ladies over 75 years young. She competed in the pageant and won last June in Las Vegas, and will relinquish her title to the new winner this coming June. Come out and meet Nancy, and have a beautiful photo taken with her as a memento. The dance will be held on Friday, April 26th at the East Cobb Senior Center. Doors will open at 5:00 pm, with music provided by The Class Act Band for dancing from 6:00 pm to 9:00 pm. The dance is $10.00 per person, payable at the door. Suggested attire is dressy or semi-formal. Sodas and coffee will be provided, and we ask that you bring a sweet or savory treat to share on the buffet table, if you would like. The Foxtrotters Ballroom Reunion Dance!! The ballroom was brimming with beautiful people at the Foxtrotters Reunion Dance! It was dancing-room only on the floor as The Class Act Band played some wonderful tunes for our pleasure. With a buffet table overflowing with treats provided by our guests, we all enjoyed a delightful evening of seeing old friends and reminiscing about the good times we have had over many years at the East Cobb Senior Center. Goodbye and God Bless, Foxtrotters Ballroom Dance Club. It has been a wonderful glide across the dance floor! The Foxtrotters are on Facebook! Log on to your own Facebook page, and search for “Foxtrotters Dance Club.” Or, click on https://www.facebook.com/Foxtrotters-Dance-Club-347472708971805/ to reach The Foxtrotters Facebook Home Page.